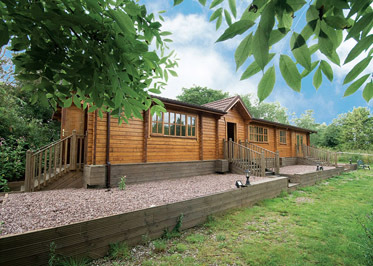 This secluded and contemporary lodge enjoys a supremely peaceful location and lovely countryside views from its position adjacent to fishing lakes. Seventh heaven for anglers! The village pub is just 200 yards and Hoar Cross Hall (3 miles) offers day spa facilities and golf. Rugeley and Lichfield are 7 miles Cannock Chase Shugborough Hall Sudbury Hall and the thrills of Drayton Manor and Alton Towers are within easy reach. Shops 3 miles.